The new year starts with a great announcement for a split release between atmospheric pagan black metallers Zgard from Ukraine and melodic atmospheric folk black metallers Prohod from Romania. Zgard surprise us in every album, with their great atmospheric expression, while Prohod are following the same line from the first album with cold riffs, variations and great melody. The split is entitled “Ascension: Paramatman” and it will be co-released by Purity-Through-Fire and Fimbulvinter Productions. It will be available in a limited to 75 copies A5 digipak edition and in normal jewel-case CD. 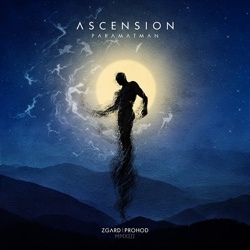 Release date isn’t announced yet, but ”Ascension: Paramatman” is already available for pre-order. You can also watch below one song from Zgard and a teaser from Prohod. I can’t wait! The wonderful artwork is once again by Moga of Kogaion Art.